Chad is a founder and CEO of multiple, successful startups with the last two in the Radio Control and First Person View industries. 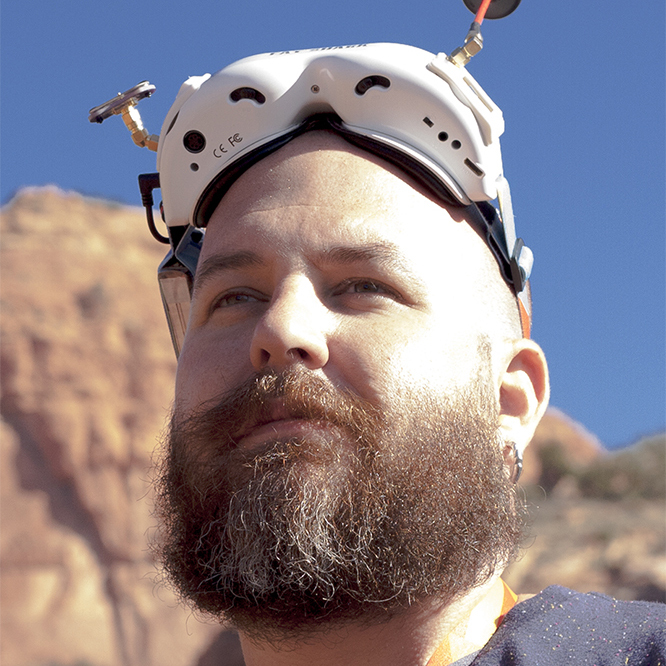 Currently, Chad is the CEO of Rotor Riot, LLC which is dedicated to educate and inspire people to participate in the FPV community. Rotor Riot is an ecommerce company as well as the source of content and education for FPV pilots. Rotor Riot recently created and hosted Rotor Riot Rampage in Barnwell, South Carolina, an event which surpassed even Chad’s wildest expectations and brought together pro pilots, aspiring pilots and FPV enthusiasts from North and South America to fly, meet and compete. Chad has shaped his company, Rotor Riot to be an advocate of the FPV multirotor community which has the largest public presence within the FPV multirotor community worldwide. Chad founded Flite Test and StoneKap Productions. Chad served in the US Marine Corps and is married and a father in Ohio, USA. I started flying model airplanes with my brother when I was 10. These were control line models made of balsa which flew great with Cox 0.049 engines. The smell of castor oil still brings back memories! I had a long gap in my model airplane passion as I learned about tearing down and repairing cars and motorcycles and went to college to become a mechanical engineer. Soon after graduating, I had enough time to fly models again. Over the years I’ve flown radio control model airplanes and helicopters and in 2016 I purchased my first FPV quad and I was hooked. I find it a magical experience to fly a FPV quad and see the world as if you were in the cockpit of the aircraft! I continued, learning as I went, enjoying the freedom that flight had given me. It brought back that childhood dream of flying, and never has something felt purer in my life than realizing I could set myself free into the sky, even if just for mere minutes at a time. I have made friends I never thought I would have, and experienced things that would have left me scratching my head in my earlier life. Everything that I have done in my life has led me to this. Every skill I have acquired, every moment in school and beyond, has given me the skills to enjoy this hobby to the fullest. Now, I share the knowledge of all I have gained, through helping others, opening my garage to my friends that need a place to repair their gear, giving freely from my parts stash, and writing product reviews and how-to’s in an effort to give back to the community that has given me so much. I am an artist, a builder, a designer, an engineer, a techie, an educator, a photographer, a writer. I am an FPV pilot. That is why the FPV hobby appeals to me so much. I can take so many things I enjoy such as nature and the outdoors, science and technology, and combine that with computers and art to create entertaining videos that I can share with the world on my YouTube channel. I am fighting for this coalition because of how much this hobby and other hobbies like it have meant to me over the years. I would hate to see kids lose the opportunity to explore the world via FPV and learn the skills that will carry them and their friends into the future. The FPV Freedom Coalition would be nothing without you, the thousands of FPV pilots around the world. A big thank you to everyone who sent us photos to use on this site. We really appreciate it. If you have any photos we can use, submit them here.